Is it really possible to travel without money, by bicycle? You bet it is. Let me tell you how I was able to do it. Is it really possible to travel without money, by bicycle? Are you ready to start a bicycle trip? Are you wondering how much money you need to save for your trip? Need to learn which accessories you need to carry for a long bicycle trip? 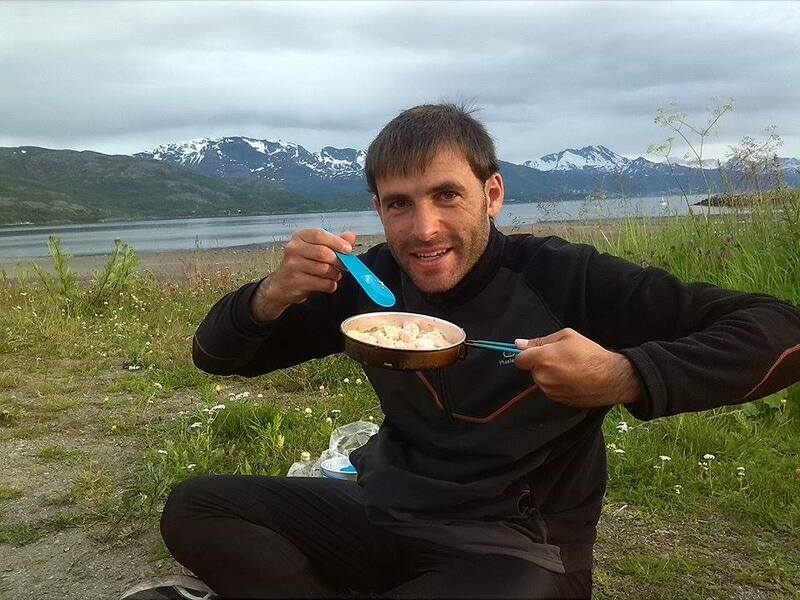 I traveled by bicycle from Spain to Norway (North Cape) and back to Finland. The trip lasted 5 months and I spent 400 euros, ONLY. How was that possible? 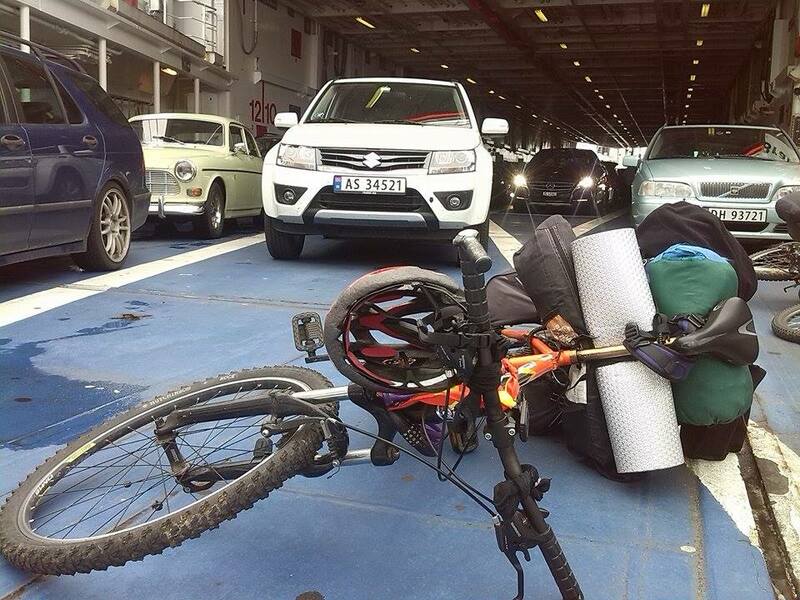 How did I bike for 9 500 kilometers around Europe? Here are my from-experience tips and tricks to travel without money by bicycle. My bike. Ready to go! First of all, you need to have a bicycle. (Obviously) In my case, I used my old mountain bike for the 5-month Euro trip. 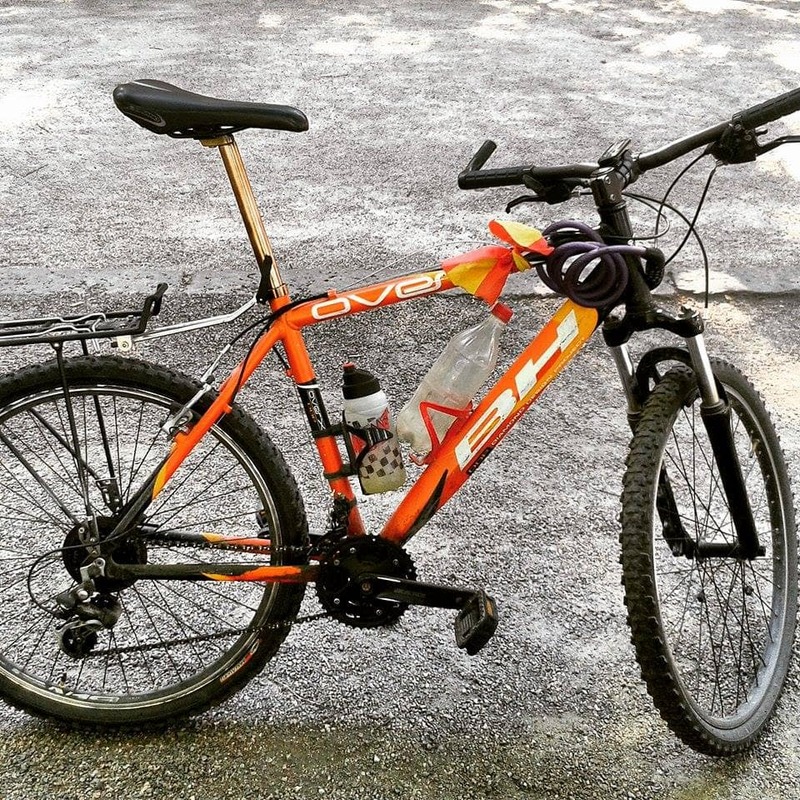 A simple bike 8 years-old, which caused me a few problems mainly because of the long distances. You will need to determine the distances you will travel in advance. Here is where your planning will come in. Depending on how far you want to travel per day, you might need to train in advance to prepare for the trip. If you want to bike for 100-120 kilometers in a day, you will need to train for at least a couple of months. If you will not go as far as 70 kilometers daily, then you should be fine. If you feel that you are not fit for this kind of travel, then spend time to prepare in advance. Try to be physically and mentally prepared for the trip. 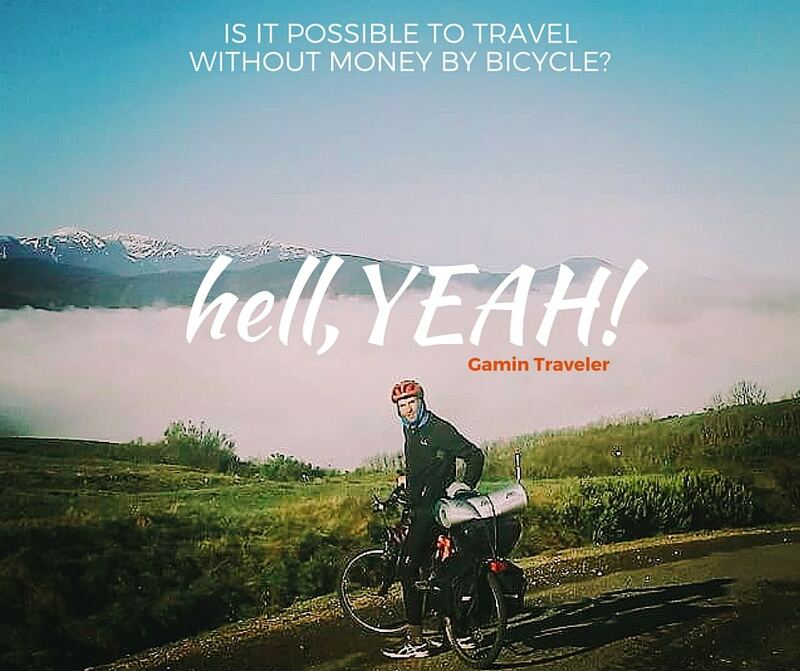 Travel without money is possible, and through biking, you experience travel in a new way. Make sure that your body and health is in good shape. I was running every other day for at least an hour for 2 months. Cycling every week. For me, I bike for 3-4 hours weekly for 2 months. Maintain a balance diet. I am a fan of maintaining my weight (I don’t train in the gym) and keeping a balanced diet as often as possible, even if I am not preparing for a long bicycle trip. For breakfast, I usually have cereals with milk and a toast. For lunch I eat steamed chicken with vegetables. I then usually end my day with a light dinner. Tubes – You will need 3 bicycle tubes. You will use 2 immediately, and have one for spare. The tubes shouldn’t take too much space in your luggage. A broken tube is the most common problem that you can encounter when traveling by bicycle. Multi Tools – You need to be ready in cases you need to repair your bicycle. You will need tools for changing your tires and brakes. You will also use tools for moving or adjusting your saddle. There can be places to repair your bicycle on your way, but make sure you check these in advance. Add this to the list of the things that you will check when you are planning your route. I didn’t plan my bicycle trip in Europe in too much detail because I know that in Europe, you can find shops for bicycle often. Brakes – This is optional. You should find one on your way but it wouldn’t hurt to have one in handy. This will only take little space in your luggage anyway. Oil for your chain and a degreaser, for removing grease and keeping your bicycle clean. Air-Pump – for repairing flat tires. A couple of water bottles and cages. Speedometer – This is good for calculating how many kilometers you have left during the day. It will also give you information on how many kilometers you already ridden and the average speed you do. It’s good if you compare with your GPS, to make sure that you are going in the right direction. For GPS, I used the mobile app, Navigator. It is an app with offline maps, useful in understanding GPS without internet connection. There is no need to buy a SIM card. It will also save you a lot of battery power while traveling. A lock for the bicycle. Here are the things you need to bring with you that are important for your long bicycle trip. A small camping gas. I brought a small bottle, enough for the whole trip. I only had to use it for frying food or for reheating already prepared food. Clothes for cycling like helmet, cycling jersey and culotte (summer and winter). You can also bring a pair of sneakers, or something that you can use for walking around. Bring bicycle and winter gloves, a small scarf (it can get windy, depending on the place), pairs of cycling socks, a windbreaker and a raincoat. Clothes after biking like a pair of t-shirt, a pair of jeans, a pair of shorts, a pair of underwear, socks, jumper, jacket, cap, and flip-flops. You must bring a sleeping bag, a sleeping mat and a tent for sleeping. Make sure to bring strings to tie them with the bicycle. 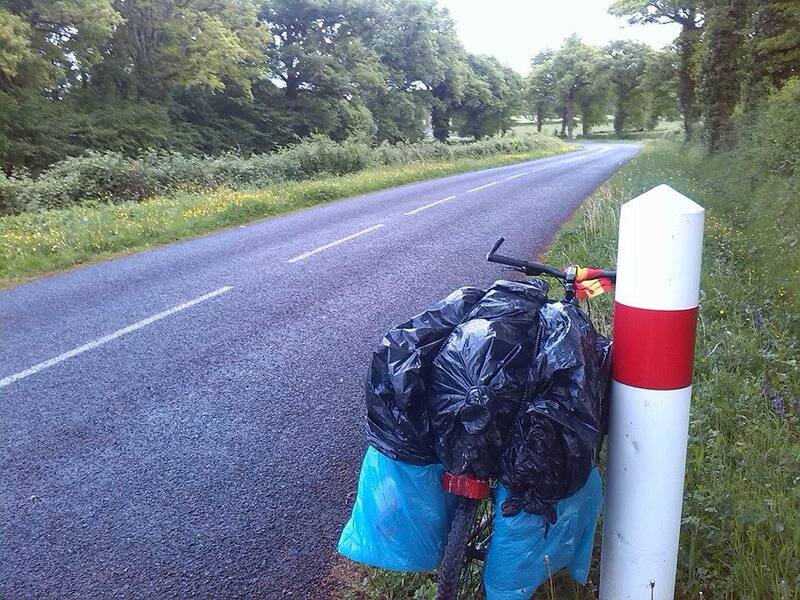 Have big plastic bags to cover the panniers, sleeping bag, the tent and backpack in rainy days. Bring toiletries – toothpaste, toothbrush, deodorant, soap ( choose the glycerine type, which you can use for your body and your clothes) a tiny towel, and a shaver. A small pot (metal-made, to use while cooking in fire) for cooking during the trip. You can also keep utensils inside the small pot. A Swiss-Knife is very important. This knife can be useful from slicing breads and applying spread, to a full helper when camping in the wild. Bring a flashlight. It wasn’t necessary for my trip since it was summer in the Northern part of Europe, and it never goes dark. A small bag where you can keep safe your personal belongings like your cellphone, wallet, passport, money and credit cards. I recommend protecting these valuables with small plastic bags just in case it’s raining. All my luggage was inside the panniers on the back side of the bike. On top of it was another small backpack and the sleeping bag, tent and a sleeping mat. The total weight of my luggage was 20 kilos without food, and while wearing winter clothes. You need to make sure that you tie everything properly. Balance the weight of your luggage against yours to make sure you will be biking safely. This will also be helpful in biking faster. 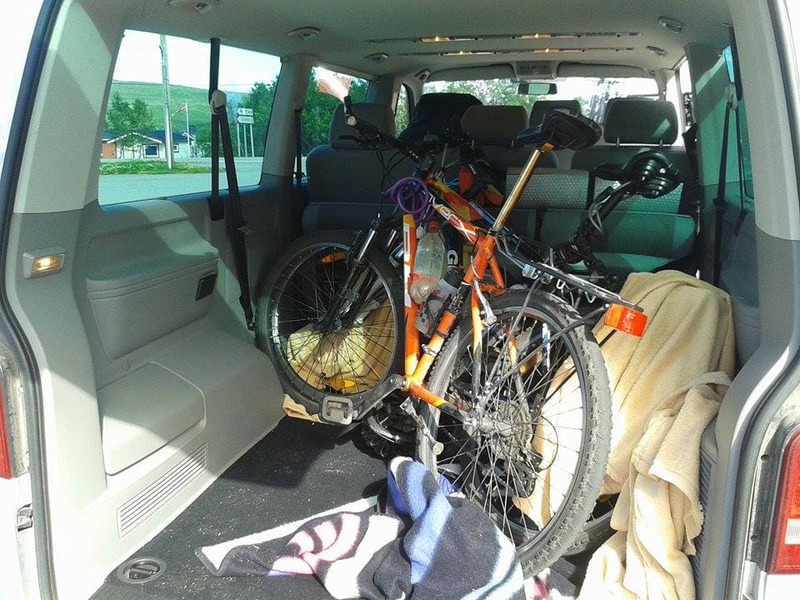 In total, it costed me 100 euros to prepare my bicycle – buying the needed accessories, the camping gas, and a locker. The most expensive I bought was the pannier. I bought most of the stuff in Decathlon, because they have cheap prices. 100 euros was out of my budget for this trip, but it was essential for me to think about safety first. For checking if the bicycle is still fit for this kind of travel, I didn’t spend any money. I did this by myself as I usually go biking. I also own a lot of the accessories needed for the trip. Rainy days with the bike. If you want to have more comfort and booking your accommodation in advance, click here to find the best deals! We (I did my bicycle trip with a close friend of mine) didn’t pay any cent for sleeping during the trip. How was that possible to travel without money? We used Couchsurfing most of the time. 70% of the trip, we were sleeping at our host’s home, 25% we were camping in the wild. About 5% of the time, we had to ask help from people we met on the way to give us a space for sleeping, churches, little space in the garden. One website you can use to get free sleeping place is Warmshowers for bikers. I didn’t use this site because it was easier to find a host by Couchsurfing. It was amazing the way people treated us during the trip, especially our hosts. 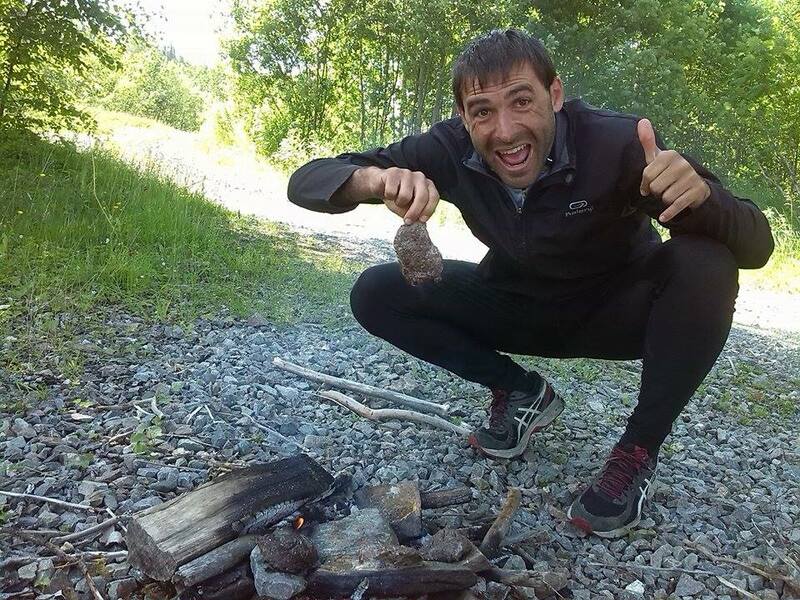 After a long day cycling, people usually cooked a big dinner for us following with a great breakfast the next day. They also make sure that we were resting well. The most of our expenses during the trip were in Spain and France. Basic expenses like food and beers. In Norway and Finland, I only spent money for fixing my bicycle, which costed me only a few euros. I didn’t have to spend even a cent for food in these countries! 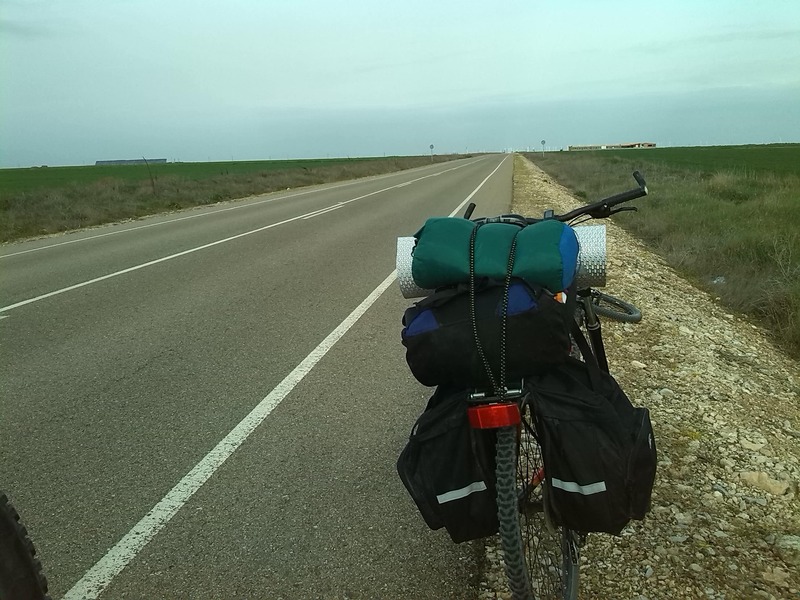 Here is my complete travel without money bicycle route: From Madrid to Santiago Compostela (Santiago’s Way) – our route crossing North Spain. Next we went to Southwest France, and from there we headed to Luxembourg. We biked through Belgium and the Netherlands. We crossed North Germany then go to Denmark. Next was Sweden and went straight to Norway, biking until North Cape. From there, we biked to Helsinki, passing though Lapland. We biked a total of 9500 km in 5 months. We biked all the way, crossing country to country, except when we had to cross from Denmark to Sweden. We had to pay 4 euros for 10 minutes sailing. We took another ferry in Norway to go to Lofoten Islands (Tickets cost 20 euros per person). We luckily avoided the payment. How? It was a night ferry, for 4 hours, we didn’t get the ticket before the departure. Once had to pay inside the ferry for the fare, but nobody asked for tickets. So yeah. Ferry for free! Amazing experience in the ferry getting our first midnight summer experience. By ferry with the bike. 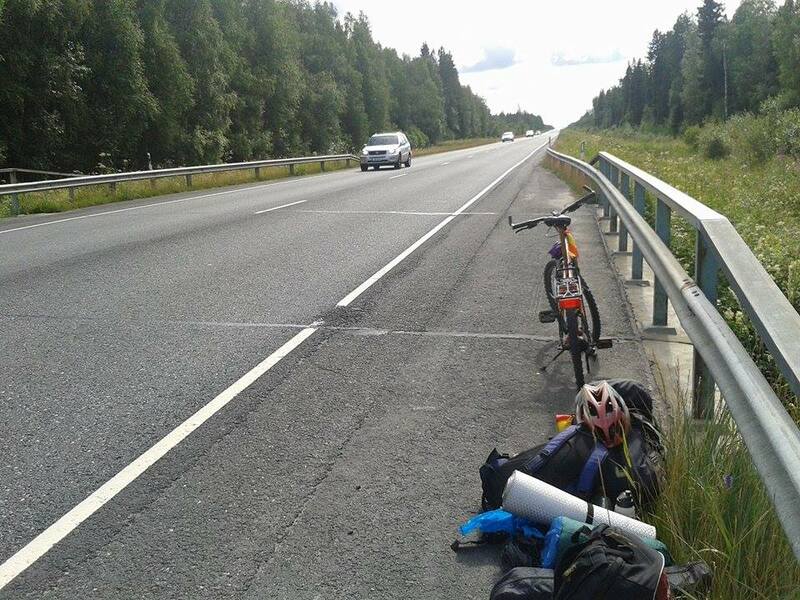 We hitchhiked with the bicycle a couple of times during our trip. The first one was to avoid the payment crossing the longest bridge in Europe. It is in Denmark, 20 kilometers long. You should go by train, its a tollroad which isn’t allowed to ride your bicycle and rain ticket was very expensive. So, we stopped close to the road, and we tried asking for a ride. It was an easy hitchhike. We were able to get a ride in less than 10 minutes. A car stopped and got his bike racks out and drove us until the end of the bridge. It was my first experience hitchhiking with a bicycle, and it was a great one! The second one was in Norway, my pedal broke, and I couldn’t drive the bike anymore. So I had to hitchhike for a couple of days (getting free rides from cars, caravan, and trucks). 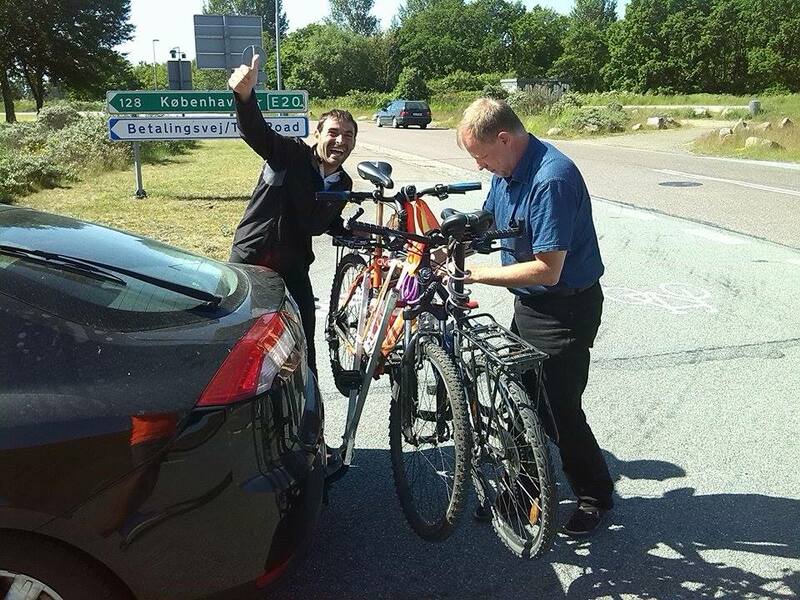 It was so hard to get a ride in North Norway, for two people with two bicycles. We were finally able to finish that way through riding with different cars to get our destination. Finally, after two days hitchhiking in Norway, we were able to reach a bicycle shop. Biking for 100 kilometers per day will take you 5-7 hours, depending on the way. Hilly routes take more time and effort. Make sure to always have water ready to drink, to keep you hydrated all the time. When biking around towns, you can always ask for water, for free, from locals. The only money I spent for drinking during this trip was when we decided to drink beers on the way,a few times. We always managed to get free water along the way. There is always water available from nature – waterfalls, streams, rivers. Running water will always be safe (running water coming from the mountains). You can also get water by asking in bars and restaurants, from cemeteries, museums, or even in public toilets. During the whole trip, there was only one instance that someone from a bar asked us money for water. They wanted to charge us 1 Euro for water in France. I declined to pay for that, when water is free everywhere else and since our goal was to travel without money. When you make these kinds of decisions, you give your mind space to be creative. How can I get free water in France, in the middle of nowhere? The answer: the cemetery. Cemeteries always has a fountain! If you want to have a few beers during your trip, beers are affordable when you buy in the supermarket. You can keep in mind that this can be cheap. Just avoid buying in Northern Europe, where everything is expensive. You can get some beers and put it in the supermarket freezer, and you can drink cold beer after a few minutes. If they are already chilled, good for you. Enjoy your beers instantly! Biking for several hours will easily make you hungry. You need to make sure that you are eating properly for if not, you will not have enough energy to sustain you during your long bike rides. We also did dumpster diving, but you can’t always find a place to get food for free. It was my first time to try doing this. We were able to find cereals and muesli with milk in the morning, and sandwich for the rest of the day. We also found and ate energetic bars to fill ourselves on days we need much more energy. We usually stop on the way, try to find a good, quiet place to enjoy our food and rest a little bit. We had to do this a lot but when we spend time with hosts, we were always lucky because they prepare good food for us. When we buy or cook our own food, we make sure to have time to share with the hosts if the schedule permits to spend great time. There are a lot of blueberries in Finland and Norway. You just need to ask locals where to find these in the middle of the forest. It can be a hard job, picking blueberries, but these are so tasty! You can even sell a bucket for 25 euros, depending on how good they are. You can get extra money recycling cans and plastic bottles. There is a machine in the supermarket where you can put cans and plastic bottles inside and you will get some money back. I was always cycling on the correct side of the road, most of the time on bicycle lanes if it’s possible. Try to wear illuminated clothes to make sure people can see you faster. This will also help avoiding any traffic accident. The Netherlands and Denmark were the best countries for cycling. You can find a bicycle lane everywhere. Spain was actually the worst, with only a few bicycle lanes. Biking for a long trip, you will, for sure get flat tires. You will have to change your brakes, fix cable for shifting, spread oil on your chain and clean your bicycle. You will have to change your wheels. Apart from these repairs, I only needed to change my pedal, which got broken along the way. If you can fix by yourself, you can save time and money. When you need to fix a flat tire, take it easy. Try to find a good location to fix your flat tire, protecting from the traffic. At the end of the trip, I gave away my bicycle to one of my hosts. Get a host by couchsurfing will be one of your luxury times during the trip. Or at least, that was our experience. Spending time in our hosts’ houses, we always had a great time. When you are camping in the wild, you can wash your clothes or bathe in rivers and streams. You can even do these in malls and libraries. Check out toilets in petrol stations, sometimes there have free showers. Take advantage of everything places have to offer for free. Just make sure you leave these places as clean as when you found them. Internet nowadays is an essential part of daily lives. Luckily, it was quite easy for us to get wifi everyday in the bicycle trip. The easiest way was in the library, in malls or in Mcdonalds. These places were all free sources of wifi for us, without having the need to buy a coffee. Don’t even think about eating in restaurants in Europe, just to get wifi. This will not help you travel without money. Restaurants are quite expensive in Europe. Sometimes, you can find a hotspot in the city. Take advantage of any moment you have free connection. Connect to refresh your GPS apps, or contact friends and family. If you are couchsurfing, you have plenty of chances to get wifi, and you can charge your devices, too. It’s important to save battery power, if you are using your phone to take pictures and for GPS. If you want have a good rest, you need to choose the right place for camping. One important thing to note is that some countries don’t allow pitching tents like Spain, France and Denmark. This doesn’t mean you can’t use a tent. You just need to be very careful where you put up your tent. The tent has been a big help for us, apart from couchsurfing, to keep our travel without money. Sweden, Norway and Finland allow camping everywhere. Just pick the right spot. Under a roof is a perfect place, to cover you from rain or wind. This might be tricky to find. If you can’t find any roof, try to pitch the tent in the flattest place you can find. This will be comfortable for your back. Avoid stones as these will be too uncomfortable, even when you are sleeping on a mat. 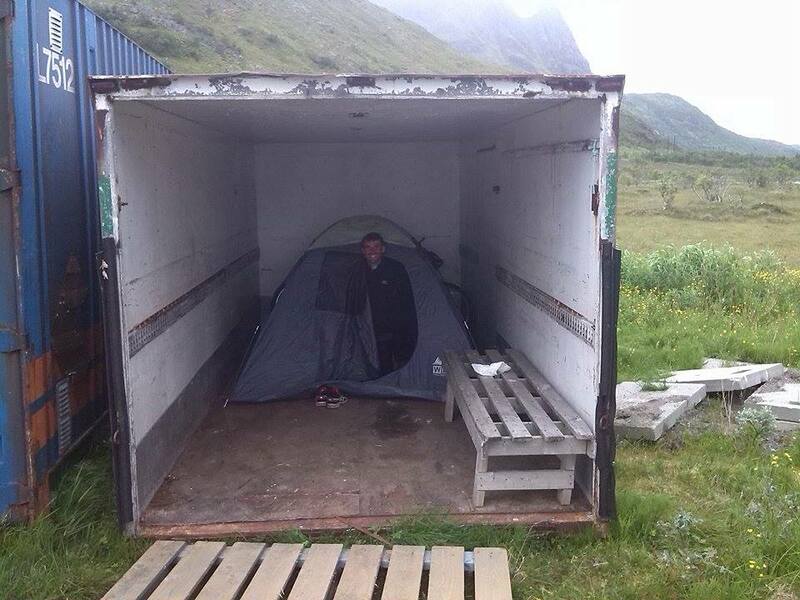 In our experience, pitching the tent in a flat place can also help in days that are raining. The rain can make sleeping feel bad for you. Usually, after an hour of raining, it will be humid inside your sleeping bag, and you should be ready for the cold. Another option is to choose to sleep close to a river. You can bathe and wash your clothes, and get water in the morning, before heading for your bike trip. Make sure before going inside your tent, that there are no mosquitoes. If there are any mosquitoes that already made their way inside your tent, try to remove them, so you won’t experience an uncomfortable night. Also, pitch your tent in a quiet place, far away from the noise, to have a good rest. If you make a fire, make sure that you put it off before leaving. For more comfort if you want to book your accommodation, click here to find the best deals! About the saddle, if you can wear it with gel, you are going to feel much more comfortable. I wasn’t bringing one. For the panniers, try to buy without zipper. The pannier can get broken if it uses zipper. You will have to make sure that your stuff are neatly placed to avoid it opening many times. It can even get broken if it’s too heavy. 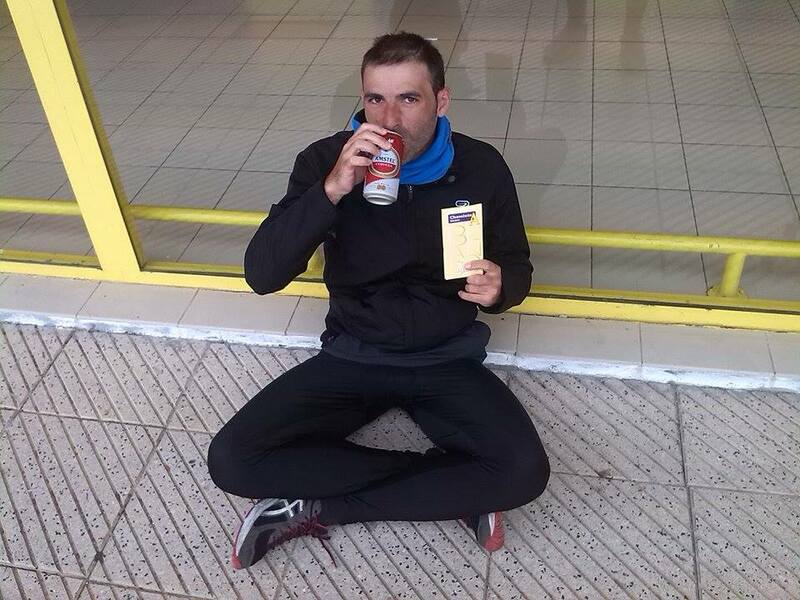 After finishing the trip, I realized that cycling for 100 – 120 kilometers a day can be exhausting. There were times that we had to ride our bikes for 100-120 kilometers for straight 12 days. We ended up really exhausted, muscles aching and knees weak. I can recommend 70 kilometers per day as a good distance when cycling. This will help you not bike for too many hours in a day. Traveling with someone by bicycle is important. It can help you split the tasks and will serve as your support in the most difficult moments. Its safer two people cycling, you can be watched easilier. If you have a bicycle problem as we had, for example your wheel burst which happened to us. You need to go to the next town to buy a wheel while your friend is waiting for you in the road. Sharing tasks as pitching and putting back the tent, making fire, repair the bicycle, watch out the bikes while you are gonna buy something to the supermarket or just visiting toilet. Is Norway the most expensive country in the world? For me, it doesn’t have to be. Norway was the one of the easiest countries to travel without money, by bicycle. Norway was the one of the easiest countries to travel without money, by bicycle. It’s not expensive for traveling. 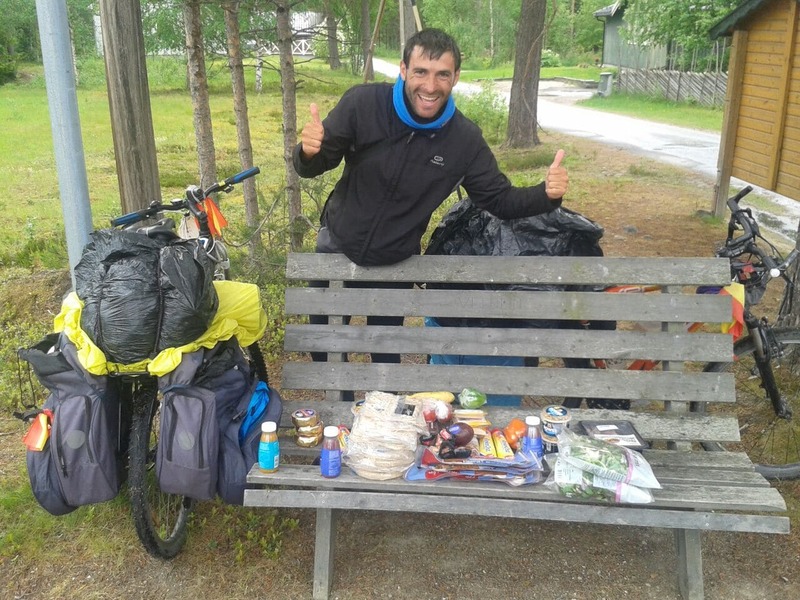 We didn’t have to spend any cent during the two months of cycling in Norway and Finland. Our hosts thru couchsurfing helped us a lot. Dumpster diving with the bicycle in these countries also work so well. Everyday, you can find a lot of food just by going behind the supermarket. 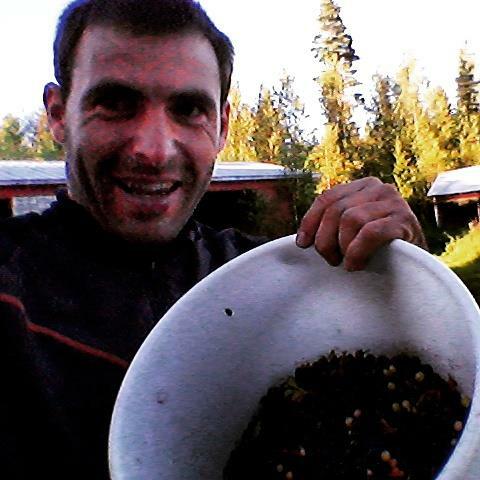 Open the bins and you can enjoy good, clean food, you can even carry some food in your panniers. Food that they throw in these countries are still packaged properly, usually thrown away for these are expired or about to expire. You can easily sift through these food and find good food for you. 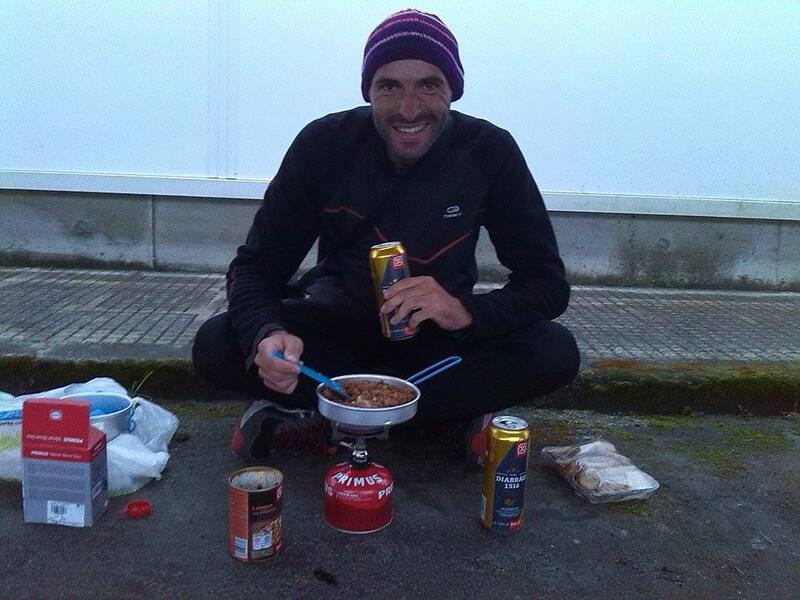 After 5 months of eating this food (sometimes before expiry, on the exact date of expiry, or even a few days expired), cycling under the rain, sleeping outdoors with a simple sleeping bag, I NEVER got sick. My best moments during the trip cycling in Norway, was in the middle of great landscapes and the nature. If I need to choose one best moment, it would be camping next to the river. 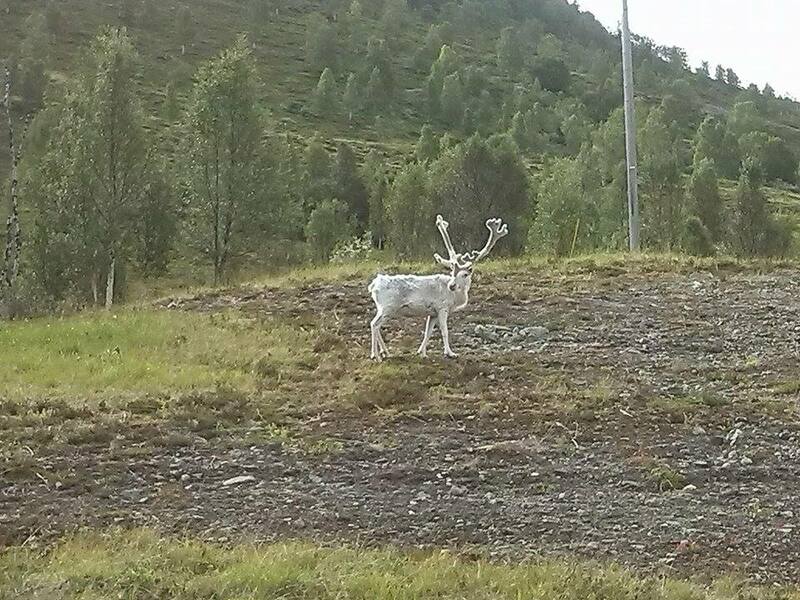 It was such a surreal moment, when reindeers suddenly came, drinking water next to us. It was so amazing, enjoying the view from the tent. Norway is perfect for traveling by bicycle. There are good areas for resting, clean and accessible toilets, and places to pitch your tent. The best news? Everything was for free. 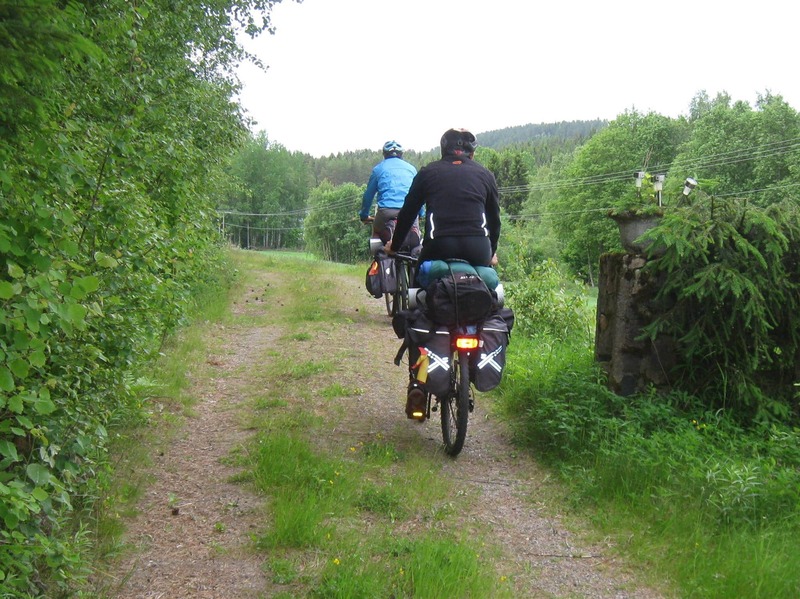 The worst moment, if I had to choose one, was the trip leaving Norway and cycling in Finland (Lapland). It was long distances of cycling, seeing only forests. There were days that it were rainy and cold the whole time. I barely slept well during those rainy nights, especially when there are many mosquitoes. Sometimes, when you stop to get some rest, and you have food and you can’t find a dry place to stay at, and there are mosquitoes everywhere, you can lose your patience. It was a hard 5-days, but it was an experience to learn more about the world, and about myself. I am still so happy to have had this amazing experience. It was a hard 5-days, but it was an experience to learn more about the world, and about myself. If you do good for others, others will do good things for you. Many people will offer you their help. And you should welcome this. I strongly believe in this, and I know that it is the truth for I have seen it in so many areas of life. Here is a great story of Rob, an American guy who evangelizes about taking the leap of faith and trusting people to help you. Help people when it’s your turn to give help. Help people when it’s your turn to give help. There are a couple of times someone asked for my help to fix their bicycles, and even fix their garden (both happened in Denmark). I helped them and they offered me money for that help, which I politely declined. After so many people helping us on the way, I considered it unfair to accept money in exchange for a small help. I enjoyed every minute of it anyway. Have you ever traveled by bike before or are you just starting to think about it? What was your takeaways during that trip? Feel free to share so we can all learn together. Thank you Brigitte. I appreciate that! Do you travel, too? I do hope anyone who wants to travel cheap follow the tricks I outlined. This is an incredible post! Looks like you had an amazing time, albeit with challenging moments (or weeks!). You’ve inspired me to plan a bike trip now! Great tips and advice too. What’s the next adventure? Thanks Melanie! It was 5 months traveling by bicycle. Go for the bicycle trip, it was an amazing experience! Great post with many tips and suggestions. 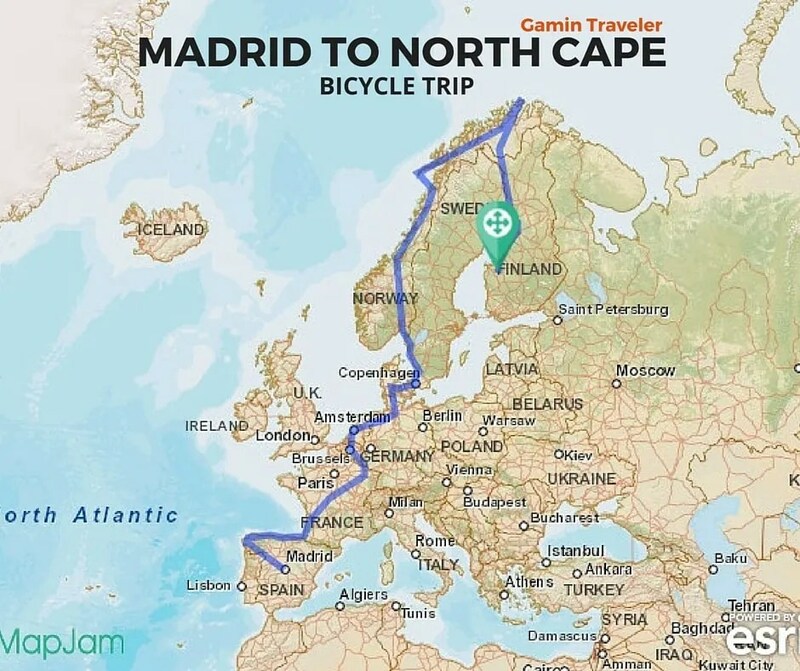 I love cycling and would love to do a trip like this with little money. You certainly start to rely on the kindness of strangers that way. Yeah! If you like cycling, you can see, its easy, take a look to the map and go for it! Thanks for the inspiration! Great guide to a beginner! Looking to do a 6 month travel in 2016, something like this is exactly what I want to be doing. Ta! Great article. Easy reading and complete. I admire your amazing trip. Any new trips scheduled next? Thanks Arjen! You are part of it! Im in Philippines right now, but just quiet not traveling. Amazed by your description .. I should try this in India. Im not planning right now to do a bicycle trip. Let´s see in the future. It sounds an amazing experience! You’ve got it in one. Coudln’t have put it better. Congratulations for being a complete freeloader and even boasting about it. You can cycle the world without being a skinflint, taking advantage of people’s hospitality and offering nothing in return. You give fellow cyclists a bad name. Shame on you. Hey Richie. I appreciate honest comments, but might be helful if you communicate with a little less hostility. We all just want to help each other in this tribe. Not everyone travels the same way, but I can tell you that I have accepted help when it is gratefully given, and in return, I help people when I get the chance to do it. And I give help willingly too. That´s exactly why I spend hours to produce content to inspire people to not be stopped when they have a dream to travel. 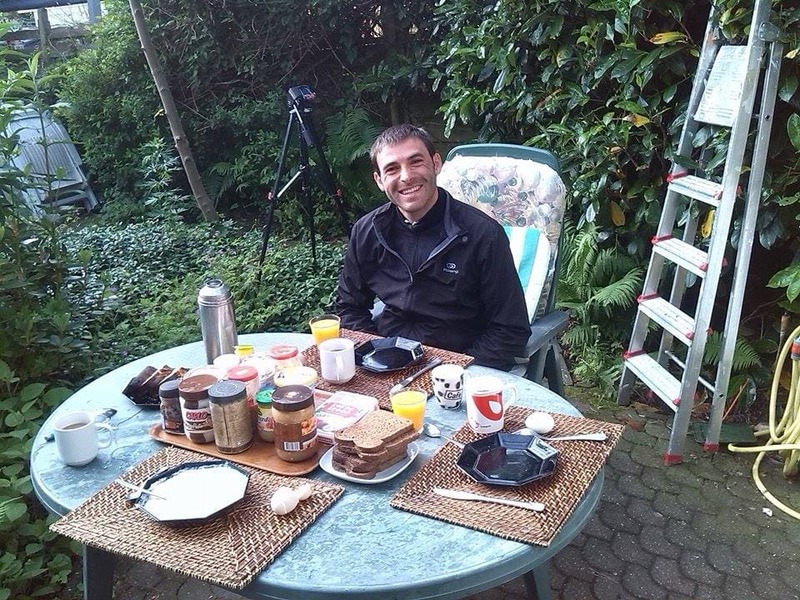 When I´m in my home town, staying for months, I also drive people around and host people, because I love meeting people and hearing others travel journeys. I respect each person´s way of traveling, be it luxurious or cheap. I’ll admit that the vision you give to Couchsurfing as a money saving platform is a little reductive but you answer to Richie was good. And yes, when kindness is offered, why not accept it? I experienced it on my trip across the US on the PCT. Thanks Indie, we´ve been also hosting travellers too. Its true in Western countries couchsurfing is about saving and meeting local people. But there are some countries where accommodation is so cheap and I still love doing couchsurfing. Btw I´ve never tried cs in US, how was it? I like your story and your candid nature. You touched on a lot of good elements of the trip that bares addressing if planning a trip. It sounds like the dumpster diving became a survival strategy but I would say proper planning should avoid survival strategies first. That wouldn’t be for me and would be avoided at all costs except survival. This is where your ambition for no cost doesn’t make sense because it appears to be put higher than safety. Your trip would grind to a halt if tainted food was consumed. I like your reply to the hostile one. If you didn’t give back to people, he would have a point. Hi Kelly! Thank you for sharing your perspective, and how you felt about this post. I appreciate it. Dumpster diving wasn´t a part of our bike trip planning. It was actually an opportunity that showed up during the trip itself. The bike trip was supposed to end at some point (we did it for 5 months) because I already scheduled plans to travel in Asia after. If the trip was open ended, the mindset would be different. We were traveling with a budget in mind, and we saw work options that we didn´t take advantage of for this trip. It was surprising the amount of good food being thrown away in the places that we visited. So we took advantage of that! For this trip, we already anticipated that transportation and sleeping will cost almost nothing. Also, not everyone travels this way. I guess some people will even find things such as dumpster diving revolting, and that´s definitely okay. We all live in different truths, and this kind of travel, this is my truth, and I feel happy about it. I don´t put survival as my priority. I´m all for enjoying the moment, and learning every step of the way. I did travel before like ordinary tourists, many years ago. I found freedom in couchsurfing and hitchhiking, and I love that I can bike to travel, so I never went back to my old way of travel again. I did explain more about this way of travel in the ebook, so if you are planning for a long trip, that can be very helpful to you. 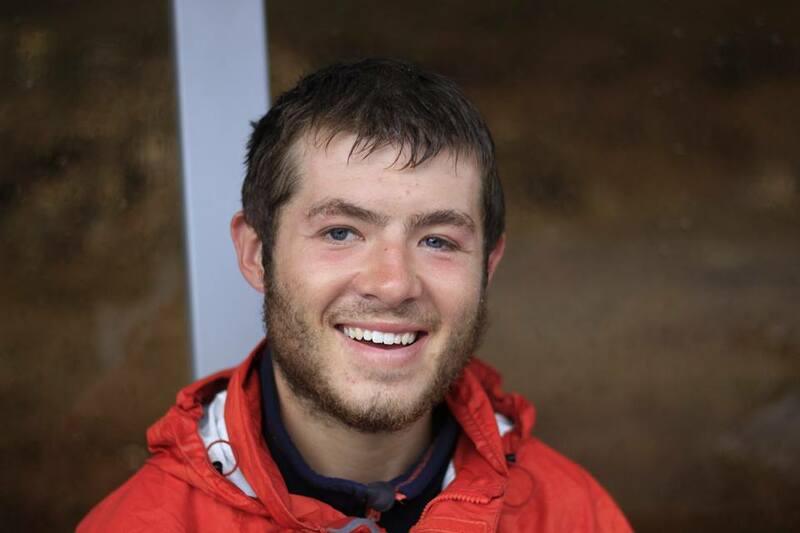 Loved this post – I’ve just finished cycling 8,500km from England to Georgia myself. 5 months on the road, and it cost me just 600 euros, so I can understand how cheap it can be too, especially when you meet such generous, hospitable and amazing people! On a side note, while at University, I spent one year dumpster diving for my food, as a bit of an experiment. I was amazed it was possible to eat for free for a whole year, and the food was very good quality. Not once did I get ill, and I was eating better food than when I was buying it! Finally, someone who walked in the same shoes. ha! I actually laughed reading “and I was eating better food that when I was buying it”. People are really generous that’s true. Loved hearing about your experiment, mate! Amazing story. That’s definitely worth sharing! What inspired you to do that experiment? I decided to do it because some of my friends said they’d done it, and I just didn’t think it would be possible. Once I realised how easy it was to get food, I did it to save money, but also to highlight the shocking amount of food waste by our shops! I loved your article. I have read a few articles by other cyclists and your’s stood out for being honest, not condescending and straight forward. I have just joined the bike-packing committee after cycling (as an adult) for the past 10 years. I have just completed my first test ride (8 days solo cycle) and I managed to learn quite a bit on my own. Reading your advice on what to take with me and how to prepare will server me well when I do my cross-usa trip (off road as much as possible). So thank you. Hey David! I’m really happy that you find it helpful and that you will be using it as a guide on your trip. I really wanted this to be useful for people. I appreciate you telling me. How long is this bicycle trip that you are planning to do? Keep in touch! Well, the route that I planed is some about 8,500 k.m. (L.A, up to Washington State, east towards the mid-west, then the great lakes all the way to Main and south to Boston.) My plan is to ride 12 hours a day gross, net 8 hours, for 5 days a week at a pace of 10km an hour on average. This should take just under 5 months. I’m giving myself 6 months, just in case. I have learned that the ‘here and now’ are more important than the k.m. per day or the number of days / weeks this will take me. My goal is to meet people along the way while enjoying the beauty of the country. The bike is just a fun means of doing it. Sounds like an awesome plan! Make sure you don’t plan so much as to miss out on the spontaneity and freedom of the trip! Wow! Tati you are so brave! Which route are you following? Are you writing about that amazing experience, I would like to hear about that. That’s true if you wanna travel with 0 money, your way is the best. Joggling, street art! I thought couchsurfing was safe, at least for me as a guy. I guess, you won’t have any problem following your instinct. I can tell you after my bicycle trip, I didn’t go back to eat so good as I was eating with dumpster diving. 100 km diary is so much, but we were in a hurry and not carrying so heavy luggage. Where is your goal? I want to hear about your trip! Good luck! Awesome story! You’re cool man! Hey Rueben, great tips. Thanks. I am planning a trip to Southeast Asia December-January. I’m using your advice! That’s great! How are you gonna travel by bicycle? hitchhiking? Thanks Marcia! It sounds great! How are you gonna travel? by bicycle? hitchhiking? I don’t agree with several points you’ve made here about bike touring in general (ie. you should train your body in advance even if you’re biking 70kms. a day). However, I will add that after 8 years with no tour and 7 years with no bike (I gave it up to move abroad but also because my knees went bad), I just took my first tour since then, 3 weeks in total, and it’s been almost all free. I started in northern San Diego, California, went down the coast, then east to Calexico, then north to Indio. It’s great to be on the bike!! I’m poor, so I have a food stamp card. That has paid for the food. If one doesn’t behave/spend like a tourist (as I have on all my other previous tours which weren’t in the U.S.), touring is definitely possible to do on the absolute minimal. I’ve been free camping behind hay bales, on date farms, etc. Only 2 days paying for campgrounds, but CA has a special hike/bike camping fee program. I love being on the bike again and tho I’m only doing 5-15 miles a day (8-25kms) to save the knees, it’s still great. Long live the bicycle! That’s great enjoying the bicycle! You can go for a bicycle trip with minimal. With the bicycle, you meet a lot of people. Especially travel shorter distances. You can get contacts to work a little bit and continuous your trip. 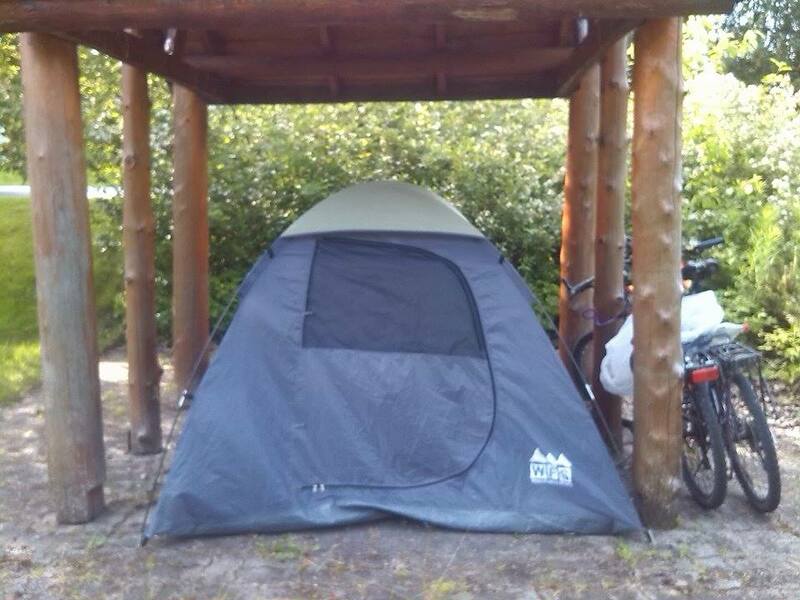 With the bicycle is easy to find a place to pitch your tent for free. I hope you enjoy your trip! Where are you heading to? Do you have final destination? I have never done this before, but I would definitely try this once.. I can recommend 100 % the experience! It was very easy in Europe. I guess is challenging outside Europe. I would like to try again a bicycle trip. Where are you planning your bicycle trip? Thanks Mikerana! In India is totally different! I chose the easiest place to do the bicycle trip. Landscapes were amazing. The experience was great. But, I would like to try in another continent. Excellent post and hugely inspiring. I am definitely subscribing to the newsletter. Thank you for following my blog. Tweeted. How about a stumble upon button? So, where do you plan to do your bicycle trip? For the next trip, you will have more experience. I budget good. But, I did long distances. For next trip, I will do shorter distances. Wow this looks fantastic. Maybe when the children are older! It is amazing that nowadays you can set off on a journey and travel more easily. The Jesuit monks used to have to go on a journey without money for 40 days, I always fancied doing that – and of course Buddhist monastics lived on donations of food in the past on their travels. Nowadays couchsurfing makes it easier to meet people! Reminds me of Patrick Leigh Fermour’s books about travelling through Hungary and surrounding countries just before the first world war, again with no money. Well done, and keep the spirit of adventure and friendship up in your future life even if you settle down at some point! Hi Julie! Happy that you found this post helpful! How young are your kids now? And you are right, the world is changing, and hopefully gearing more in making travel much more accessible for people. Thank you and I hope you’re having a great day! well they are primary school age – although we recently had a chap travelling through the Hebrides with a 7 and 9 year old by bike, and they had travelled at least 20 miles one day – I was amazed! One fantasy is to do the Danube from source to end with the kids some time. Should be fairly flat! Wow! They are brave! 20 miles one day!! They will travel in the future with the bicycle. Couchsurfing will be working. Sometimes, you will find hard to get, especially in the cities. Thanks 🙂 Are you planning to do a bicycle trip? Thanks 🙂 Are you planning a bicycle trip? Ruben, I was impressed by your endeavours and there’s loads of very helpful information for anyone looking to emulate your feat. Thanks Sheree! I hope my experience is useful for future travelers. If you are planning to have a bicycle trip in Europe is good to check this information before the trip. Fantastic blog. Keep up the great work! Thanks for your words Bruno 🙂 I really appreciate them! I’m glad you like it! Are you planning a bicycle trip? I don’t have both. So sad. Thanks, I hope you find the way soon 🙂 Are you planning a bicycle trip? Awesome! I would love to do something similar one day too… Perhaps a ride around Turkey. Love your blog and your energy! are saying it. You’re making it entertaining and you still take care of to keep it smart. Hi Ruben, thanks for a great article! I recently went bike touring from Russia to Japan and spent a lot of money. Now I am back home trying to develop my skills. My plan is to combine touring with remote working so that I can travel indefinitely. Northern Europe is on my roadmap, along with many other places. But working remotely to buy things that I don’t actually need is not really the answer. Much of what I purchased was bought out of fear that I wouldn’t be safe if I didn’t have it. The act of spending money also gave me a sense of control, when I was in an environment that was completely foreign to me. On the other hand, the best parts of my trip were when I was caught out in a rural place with little money, few shops and fewer provisions. I went into survival mode and coped just fine. I hope that one day I can throw off the shackles of consumerism as you have done. You have managed to remove money from your vision of what it means to be part of the human race. Money isn’t what binds us – or at least, it shouldn’t be. Thanks Dan, we are glad that you liked it! Aren’t there any restrictions for cross border country-country travel? Man you are awesome…but does it require passport as you travelled from country to country..what about visa or any other permit?